Panda Express is a fast casual restaurant offering a blend of American and Chinese cuisines. It has combo meal options that allow customers to choose either steamed or fried rice, chow mein or mixed vegetables. Panda Express also offers catering services that are perfect for special events or business meetings. Its catering menu is complete with starters, party platters, shrimp, chicken, rice and desserts. Panda Express is popular for its signature dish, the orange chicken. It’s basically crispy boneless chicken tossed in a sweet and spicy orange juice. Panda Express is a member of the Panda Group Restaurant, which also manages other Asian restaurants, including the Panda Inn and Hibachi-San. 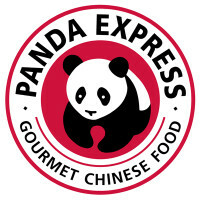 Panda Express was founded by Andrew Cherng in Glendale, California, a decade after Panda Inn was established in 1973. It opened its first location outside California in 1987 and it now has over 1,600 stores across 47 states and overseas. If you’re looking at serving food to your guests that go beyond the usual American flavor, choosing Panda Express catering services is a smart choice. Panda Express Catering offers a wide range of exciting and unique food in big plates, including popular dishes as Orange Chicken and Kung Pao Chicken. They all come with delectable starters and desserts. By using their catering service, Panda Express takes in charge of every detail, from plates to utensils. Fortune cookies are also included. Popular choices at Panda Express Catering are orange chicken, Kung Pao chicken, and broccoli beef. There’s an additional charge for some entrees, including Shanghai Angus Steak and honey walnut shrimp. Panda Express Catering has a complete online ordering solution. You need to register by creating an account using any of the following: Google plus account, Facebook account, or email address. Catering orders in the future are made easy by allowing clients to save their favorites after placing their first online order. During registration, there is also an option to receive special orders and discounts through email. Ordered food from Panda Express Catering are intended for pickup. You will be asked to indicate your preferred pickup date and time for your orders. The Panda Express Catering service has three meal options which are intended for 12 to 30 people. There is also an option to choose a la cart trays separately. Prices available are only meant for 12 to 30 people. Two-party trays which can serve 12 to 16 people are estimated to cost $99 while three-party trays for 18-22 people are $139. Four-party trays for a bigger group of 26-30 people may cost around $179. There’s an additional charge of about $15 when the choice of entrée is Honey Walnut Shrimp or Shanghai Angus Steak. Around $6, meanwhile, is charged for Orange Chicken with bacon. Unfortunately, Panda Express Catering has no free delivery option. Food orders are conveniently packaged for pickup. If you wish your food delivered at your doorsteps, you may choose to place your order through an on-demand delivery service. Panda Express Catering service offers great value for money. Its catering menu is far cheaper compared to competitors.